1. Whisk flour, sugar, baking soda and salt in a large bowl. 2. 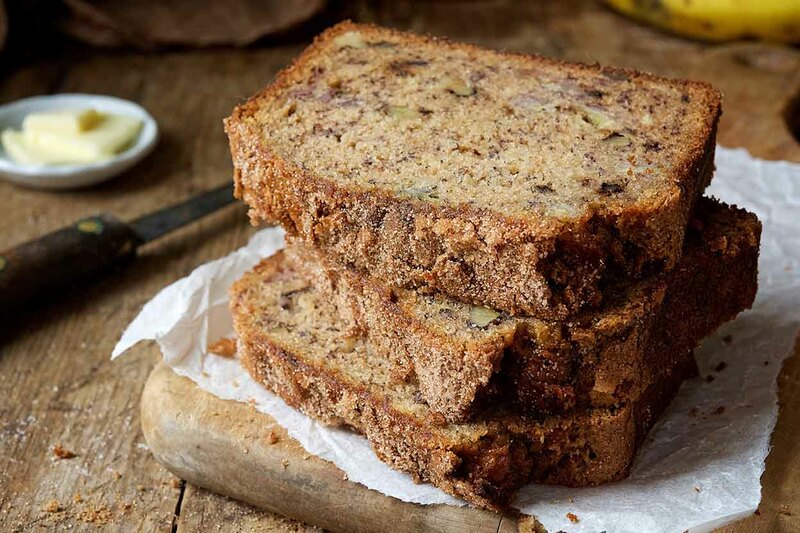 Mix mashed bananas, yogurt, eggs, butter and vanilla with a wooden spoon. 3. Lightly fold banana mixture into dry ingredients with a rubber spatula until just combined. 4. Scrape the sides of the bowl to ensure all ingredients are mixed. 5. Pour into bread pans and bake for 45-55 minutes. 1. Whisk the flour, baking powder, and salt together in a large bowl. 2. In a separate bowl mix sugar and eggs until thick and homogeneous, about 45 seconds. 3. Slowly whisk in butter and oil until combined. Whisk in the buttermilk and vanilla. 4. 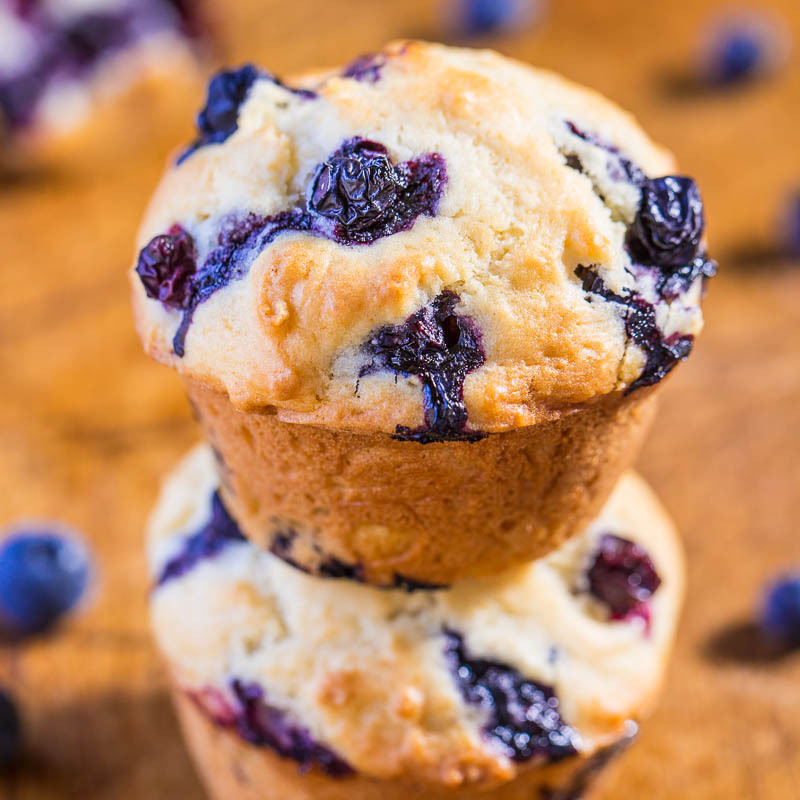 Using rubber spatula fold in the egg mixture and blueberries into flour mixture. Do not over mix. 5. Prepare baking pans with non stick spray and spoon batter into pans. Bake 15-17 minutes. 1. Grease a baking sheet with a thin layer of oil or line with parchment paper and set aside. 2. 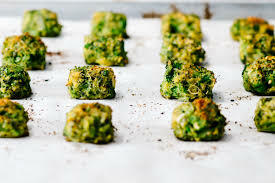 Blanch the broccoli in boiling water for 1 minute then remove and shock with cold tap water to stop the cooking process. Drain well. 3. Chop broccoli finely and mix throughly with the egg, onions, cheddar, breadcrumbs, and seasoning. Scoop mixture on to plastic wrap and roll into a long tot shaped loaf. 4. Let mixture set in refrigerator for 2 hours or overnight. 5. Cut loaf into tot length. Unroll from plastic. Place on baking sheet. Bake until golden brown and crispy, 18-24 minutes, turning half way. Enjoy hot with ketchup, sriracha, ranch dressing, or your favorite dipping sauce! Children attending Spring Break Camp will take part in all of the hustle and bustle of Spring. From scratch cooking,Nature crafts & more! We have some new members on the farm! Fury friends are always coming and going on the farm. 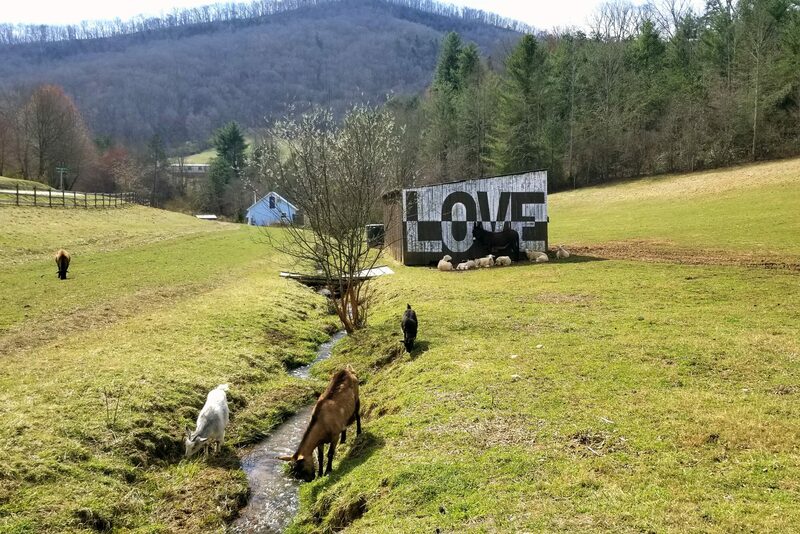 Above is a picture of some of our newest goats waiting for all the cuddles. Check us out in Mountain Xpress ! 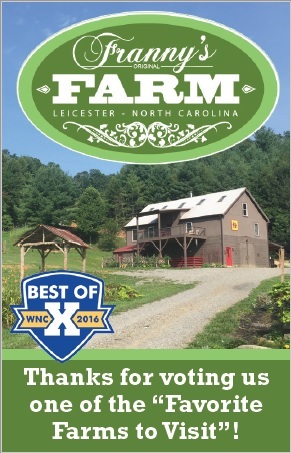 Thank you for voting Franny’s Farm one of the “Favorite Farms to Visit” in Western North Carolina. We appreciate your support! Stay tuned for all the fall fun happenings! Get on out here & get down for BARNAROO on Sept 30-Oct 2. With Gratitude! 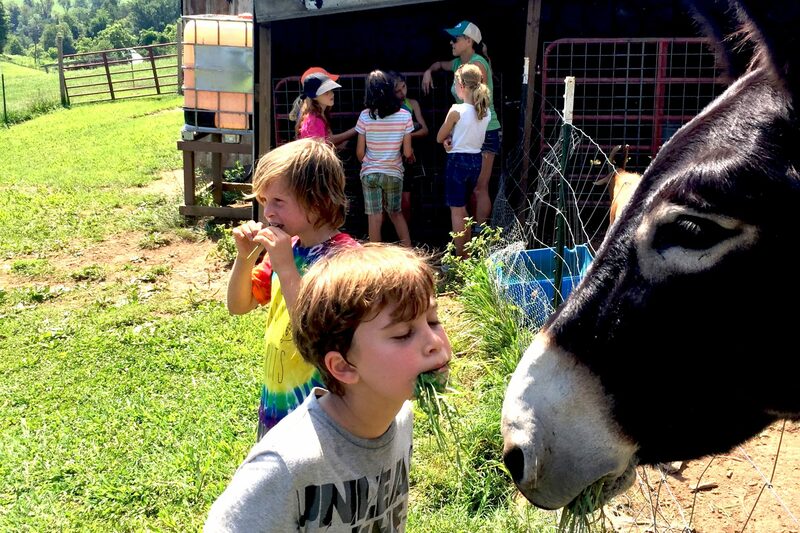 ~Franny, Jeff, Zach, Karissa & all the furry & feathered friends on the farm! 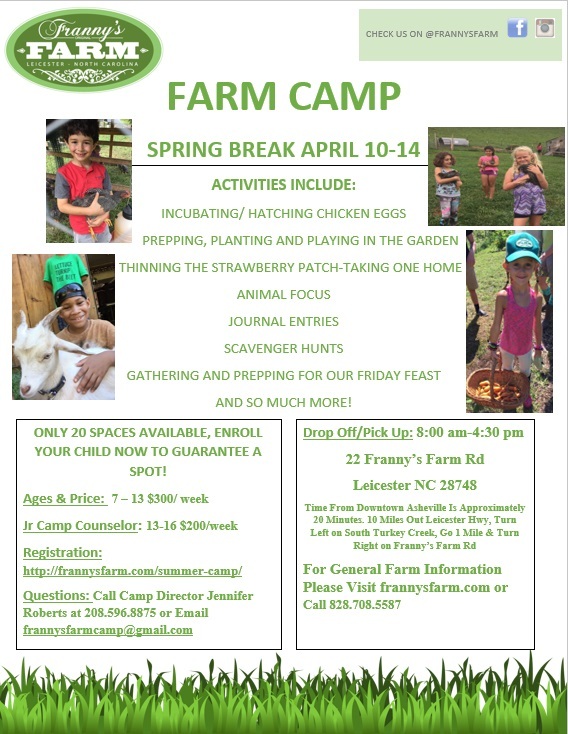 Franny’s Farm Summer Camp 20 Minutes From Asheville North Carolina!!! 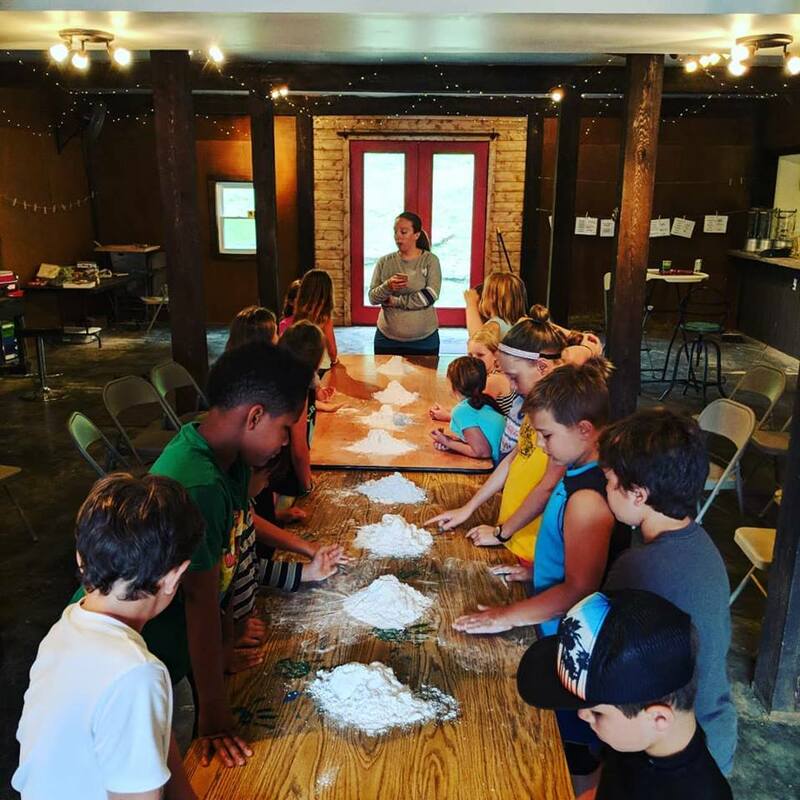 Franny’s Farm Summer Camp – Meet The Camp Director! When I was young….I was born in Appalachian Mountains of TN and raised by parents that valued their community and helped their neighbors. I grew up with an appreciation for the outdoors and went to camps in NC. Why I love camp: Camp is where friendships, broadening experiences, and a love for learning were fostered. I love the silliness, singing, personal growth and unique opportunities that camp offers. I loved being a camper so much, I became a counselor so I could share, teach & inspire kids. I want each camper to carry the experience, joy & memories as I have. Education: I went to college in the midwest where I earned a degree in education. Oregon was my home for the following 18 years where, among other things, I taught art at a camp, was a firefighter, and was blessed with having two healthy daughters. 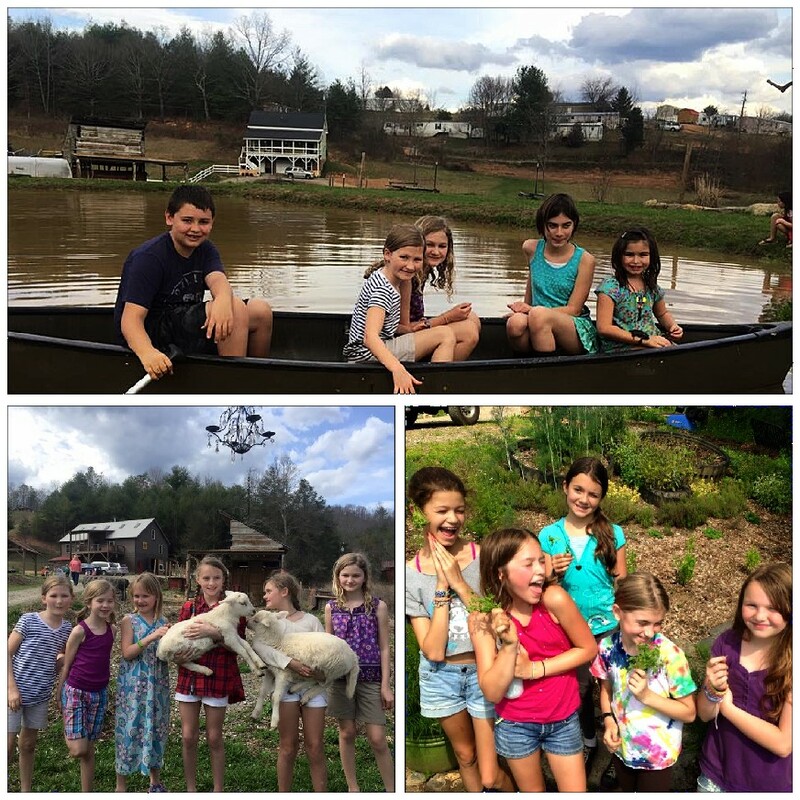 We moved to Asheville in 2013 where I have continued in education with Asheville schools. What I love best about teaching: Seeing the proverbial light go off when a child is trying something new and loves it is one of the best gifts of being a teacher and parent. Hobbies: Playing with my daughters, snacking from our garden, riding bikes, hiking with our dog, and making art. Why Farm Camp? I met Frances & Jeff right after moving here and have watched them build their farm! I am impressed with their dedication and invitation to being a part of sustainable farming. It’s been a dream of “Farmer Franny” to have summer camp & we share so many similar experiences and goals. The stars have aligned for us to launch farm camp and our team is excited about this limitless venture! And a few more reasons…. I firmly believe that kids can access their best self outdoors. Let’s collaborate as parents, teachers, community and friends to give our children, our hope for the future, an opportunity to play outside, learn about their food, be in a healthy environment, be joyful and silly and have fun! All weeks are open to boys & girls, ages 7-13. Cost: $135 per week with one time $25 registration fee. Drop off & Pick up at Franny’s Farm. Drive time from downtown Asheville is apprx 20 minutes. 10 miles out Leicester Hwy, turn left on South Turkey Creek, go 1 mile & turn right on Franny’s Farm Rd.